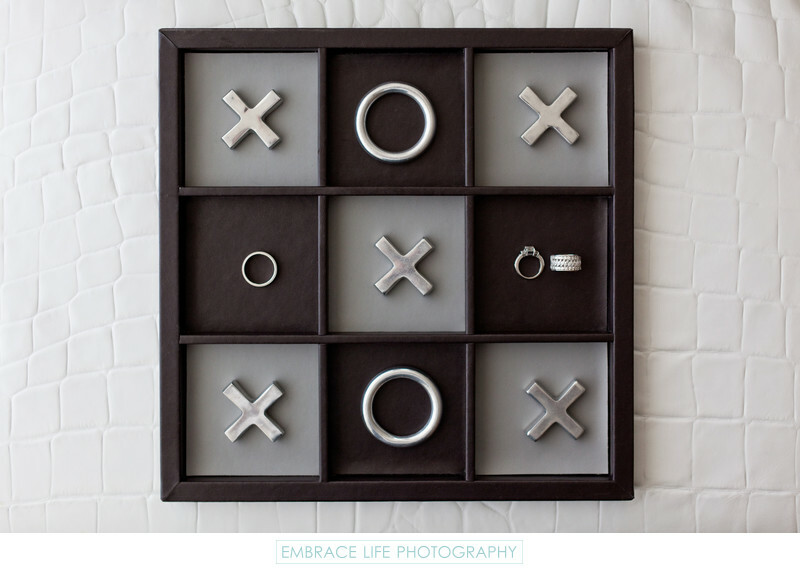 The bride and groom's wedding rings were cleverly arranged on a modern, black, gray and silver Tic-Tac-Toe board in the bridal suite at The London West Hollywood. Embrace Life Photography is known for highlighting the best that each wedding venue has to offer, delivering a wide variety of creative wedding photographs to every couple they work with. Keywords: Details (1125), Rings (69), Wedding (1437).